Enter a world full of birds in this Betsoft release - Birds! Slot Machine.This slot delivers a weird game to players as they spin the reels for big wins. 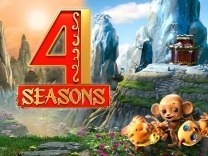 You will interact with bird symbols which offer exciting gameplay and fun. Birds Slot is a 5-reel and 3-row slot which does not follow the conventional payline structure but has wonderful prizes to be won.So get ready to visit this weird slot and uncover the secrets which are hidden underneath. 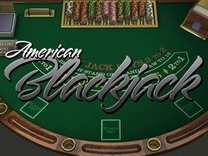 This slot offers a wonderful base and bonus game which will leave you excited as you spin for big wins. The characters in this slot are mainly birds. This adorable 3D animated avian slot has birds perched on electrical wires and as you spin the reels. 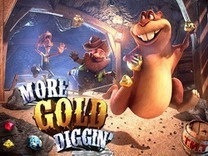 The backdrop of this slot is in the countryside while playing the base game and the city for the bonus round. 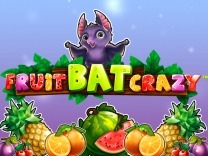 There is also a soundtrack which is equal to cartoonish design which will be nudging you to continue playing the slot. The visuals and graphics are superb in regards to the presentation of the game symbols and the entire gameplay.This slot also features a wild symbol which will substitute all other symbols on the reels. 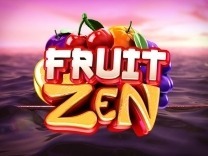 It is depicted as a multicoloured bird instead of the usual game logo which can be found on most online slots.This slot is a low variance slot and will award regular pays. It is recommended for all players whether a novice or veteran. While there are plenty of slots which have a weird theme, this takes the mantle in slot category. 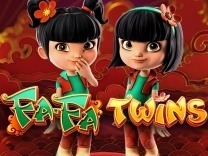 Before playing this slot you have to familiarise yourself with the different characters which are incorporated into this slot. These symbols are only birds all in different states and colours so as to distinguish between them. Unlike other online slots which have generic card symbols, this slot will only give you the birds as the high and low paying symbols. The highest amount which players can be awarded when playing this slot is 100 coins while the lowest amount is 2 coins. It does not matter how many birds you land per payline, you have to land three birds of a kind to receive a payout.Whenever you spin the reels the birds will fly away literally as they are perched on electricity lines. Instead of the birds being electrocuted, they will drop down in the same manner as an avalanche in Gonzo's Quest. In Birds, you will find no conventional payline, but you will find multiple chances of making winning combinations with each spin. You have to match at least 3 symbols so as to receive a payout.Because the game is filled with bird symbols you should always look out for the free flight symbol as this will give you extra chances of making winning combinations. 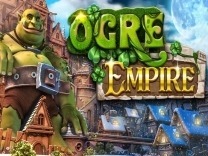 While it is exciting to play this slot, you will be astonished by its bonus features. 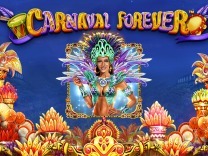 There are tons of free spins which are incorporated into this slot. To land a big win you have to activate the free flight system which will translate into free spins. The winning flight fills in the free flight bar on the left side of the screen. The more flights you land in a row will trigger the free spins feature and each consecutive flight will award more and more free flights.For those players who like to gamble with their wins, then this slot has a gamble feature which allows players to double their wins. This game is presented as a coin toss where players have to choose whether the coin will land on heads or tails. Choosing the correct coin side means doubling your wins while an incorrect guess means you will forfeit your wins.